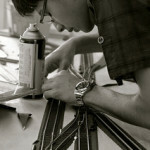 So you’ve taken the first tentative step and got a model railway starter kit, but what next? 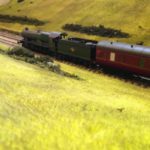 Well if you’re convinced this hobby is for you, you can start planning a proper layout but we’ll save that for another day. If however you just want to explore a bit more, expanding your track circuit is probably the best next step. The Hornby starter kits mentioned in my best train sets typically come with one large circle of track and maybe a siding. These are fun to start with but it can get pretty dull pretty quick and, if you’re like me, you’ll soon be trying out different designs. 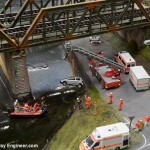 But with the small amount of track included in sets your choices will be limited. 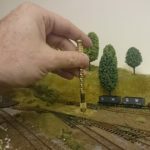 Luckily, as long as you stick the same size of track (gauge in model railway lingo) it’s very easy to get more track and hence variation in the size and choice of your railway. The Hornby starter sets I recommend in the companion article to this (the best train sets) work to the most common UK model railway track size — known as OO or double-o gauge — for which extra track is very easy to get. Hornby themselves do reasonably priced expansion packs, such as the 00 Gauge Track Extension Pack A, ranging from £15 to £40 (via Amazon). 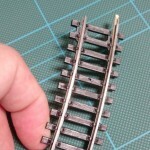 These come with a selection of track that you can just clip onto your existing track to expand your layout. 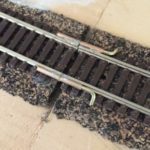 Alternatively, Peco make a range of track compatible with Hornby but which many, myself included, regard as superior for its looks. Being compatible they just connect to the Hornby track in the same fashion. The Peco range is available here. 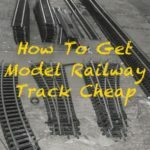 It’s probably also worth thinking about the kind of layouts you want rather than randomly buying extra track; there are lots of different types — straight, curved, points (where one track splits into two), long and short — but while it’s fun to just ad-lib your designs making them up as you go this can be an expensive route as you might end up buying track you might not use. Lastly a word of warning: Don’t bother with the Hornby TrakMat, this is little more than a large sheet of printed paper and not worth the price. One of the few things Hornby do that I don’t recommend. * Picture credit: Picture by Les Chatfield via Flickr.